Hey all! Today I am back with my first ever recipe on the blog. As I told you before, I have one big passion in life wich is cooking delicious meals (or at least I believe they are yummy). The first recipe I will be sharing with you will have a french flair and a summery hint. It is all about summer vegetables. 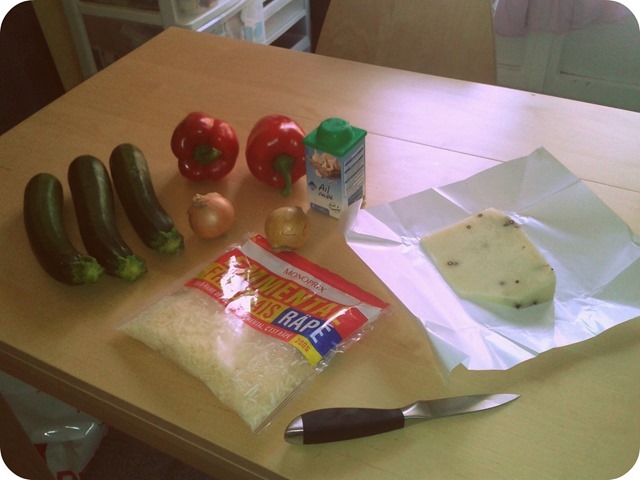 Let’s get ready to make a ratatouille casserole! This recipe is a perfect side dish, or can even be a complete meal for vegetarians. The cheese provides a good source of proteins. I am a zucchini lover all the way and I often eat them after being grilled in a skillet. But this recipe is different as you cook the vegetables directly in the oven, it allows you to do other things while the casserole cooks. The secret ingredient for the dish is curry spice. 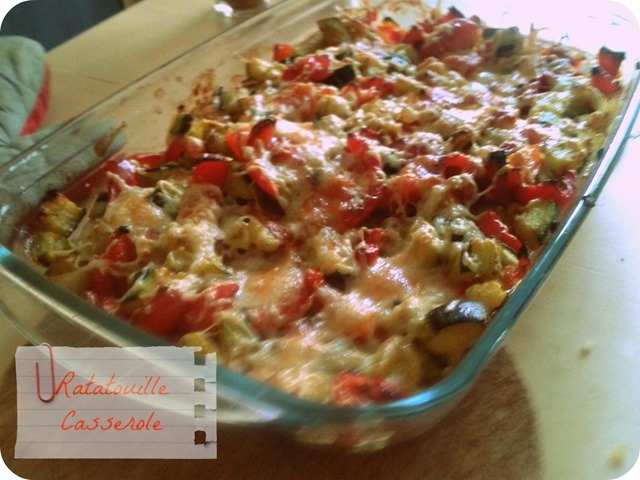 I discovered some years ago that zucchini combined perfectly with the savor of zucchini. So in this dish i add a teaspoon of curry and it melts and combines great, just try it! 2. 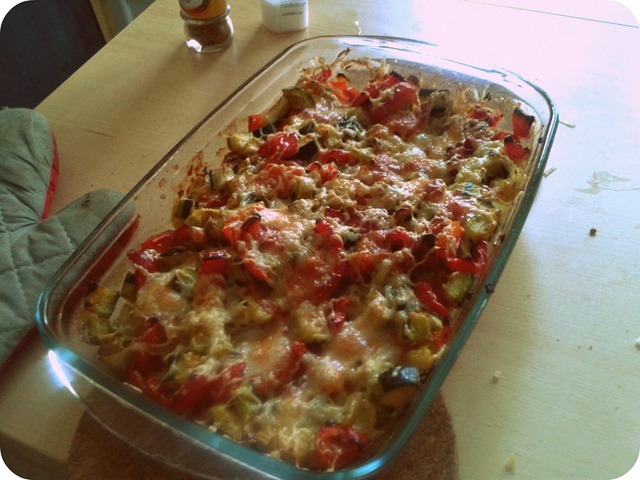 Put all chopped vegetables ( bell peppers, zucchini, onions, garlic) in a casserole. Drizzle with olive oil , season with salt and pepper. Put in oven for 30minutes at 200° Celsius. 3. After half-hour of cooking take the casserole out and add the secret ingredient : curry!! I assure you the curry will melt and add a lot of flavour to your dish. Don’t put to much of it though you don’t want to make a vegetarian curry dish^^. 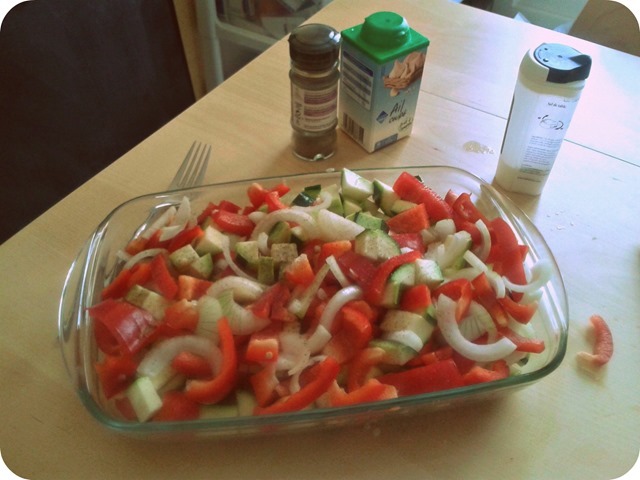 You can mix the vegetables a bit to aloud them too cook perfectly everywhere. Add the shredded cheese and put the casserole in the oven for another 20 minutes. Other than good food i also started my training plan this weekend. I really looked like a grandma running with bright pink shoes , i was so slooow. I did not run for another month and really my legs are so sore after a very small 3mile run. I will get better if i run more i suppose! In three weeks from now i will start my fourth year of med school. This means i will start rotations and be in charge of my first patients. Don’t worry , i won’t heal no one today but i will be in charge of collecting the medical history of incoming patients and discussing all this with my senior attendings. So excited for all this to start, allthough this will mean a lot of work /homework for me ! I surely will blog about my life at the hospital , lots of interesting things to see and share with you :). What did you did this holiday week-end ? 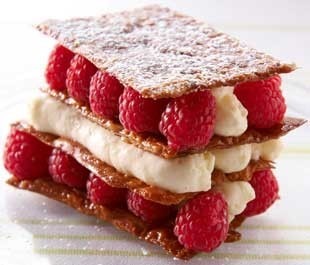 And what is you favorite patisserie or dessert ? Oh my gosh! This looks sooo good!! Ha, Thanks a lot :). I hope you’ll give it a try one day! Yum! This looks fantastic :). 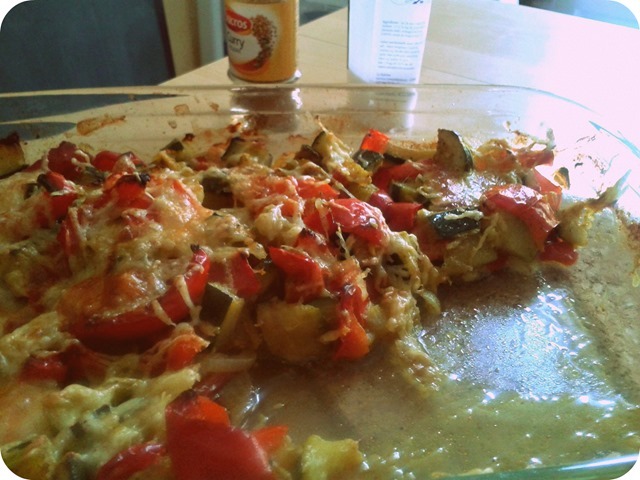 I love a big dish filled with fresh veggies and cheese <3. Just wanted to stop by and let you know that I wrote a post about self-hosting. Hope it helps! Thanks ! And very nice article, you have convinced me of changing to self-hosting so i’ll go trough your website when i’ll make the change!